The list of national organizations making their support for lap-shoulder seat belts on school buses crystal clear continues to grow more impressive and harder to ignore. The NTSB is the latest to definitively add their name. For states like New York, New Jersey, Florida, and Louisiana that already mandate seat belts, the NTSB recommended an upgrade in requirements from lap belts to lap-shoulder belts. Equipping new buses with three-point belts is the common approach for upgrading a fleet over time, but districts wanting to be proactive with their existing buses have options, especially if their buses are made by IC Bus. 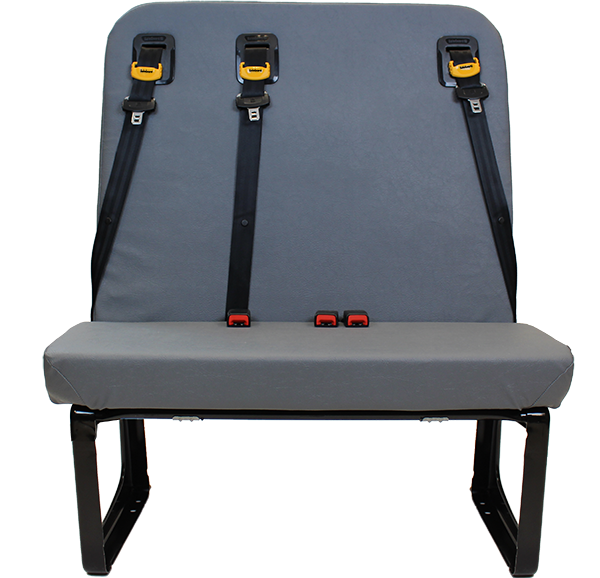 For all buses 2010 and younger, IC features the BTI seating system which allows for a quick and easily upgrade from lap belts to lap-shoulder belts or integrated child seats by switching seat backs. A full retrofit is unnecessary. While the NTSB went on record with their firmest statement of support yet, it should be noted they are actually a long-time proponent of lap-shoulder belts on school buses and have done more to advocate for them than any other government agency or organization. 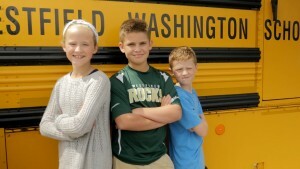 They’ve studied crashes firsthand, run the simulations, and have scientific proof seat belts on school buses make a difference. In recent years, the NTSB even went so far as to produce a video on the benefits of wearing seat belts on school buses. Their findings and statements following the devastating November 2017 crashes in Baltimore and Chattanooga put to rest any doubt where they stand on the issue. And they are not alone. NHTSA, NASDPTS, The American Academy of Pediatrics, The National Safety Council, The National PTA, and millions of parents want seat belts on school buses. 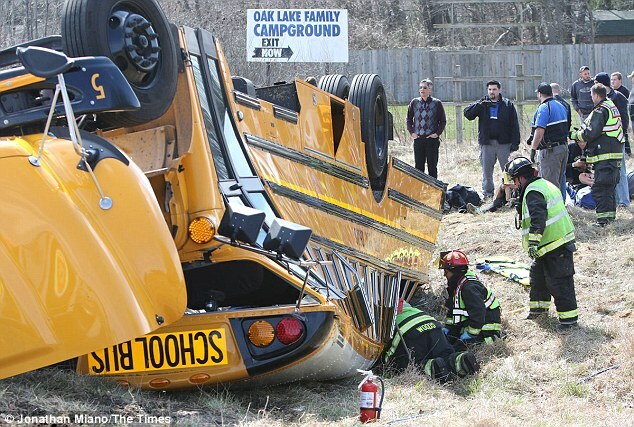 Three-point belts are proven to save lives and reduce injuries in school bus crashes, especially when compartmentalization fails in side impacts and rollovers. 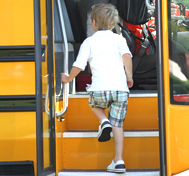 These organizations have studied the issue extensively, have separated fact from fiction, and have seen that adding lap-shoulder belts does not reduce capacity, slow evacuations, or add potential weapons to a school bus. What lap-shoulder belts do is better protect students, with the added benefits of reducing bullying, improving behavior, decreasing driver distraction, and improving driver satisfaction at a time when drivers are in high demand. 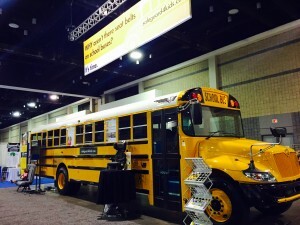 Many school buses now travel further than ever on interstates and highways where they run at greater speeds surrounded by vehicles just as large and heavy as they are. The days of school buses sticking only to slow side streets is over, and children need more protection as a result than they did ten and twenty years ago. School transportation has changed, and the NTSB recognizes that the methods used to protect students need to evolve as well. As Chairman Sumwalt said numerous times during the meeting, “Safety demands oversight that puts lives first.” Doing so means following the NTSB’s new recommendation and installing or upgrading to lap-shoulder belts on our nation’s school buses. Something momentous happened today in the drive to see America’s children protected on their school buses with lap-shoulder belts. Speaking before school transportation directors from across the country at the NAPT conference, NHTSA Administrator Mark Rosekind went on record with NHTSA’s clear recommendation of lap-shoulder seat belts on school buses. Many of those opposed to seat belts on school buses often claim NHTSA is against them by misquoting a former NHTSA ruling. 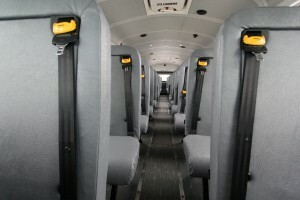 While NHTSA is stopping short of a mandate, in all likelihood to protect cash strapped districts from such an expense at this time, no one can continue to deny that the biggest regulatory automotive agency in the country is onboard with adding lap-shoulder belts to school buses. With NHTSA’s endorsement, now more than ever is the time to push your district to do the right thing. We still have plenty of work to do, but one of the oppositions’ main talking points has been clearly and irrevocably demolished. One less excuse stands in our way as we advocate to make school buses as safe as they can be for our kids.